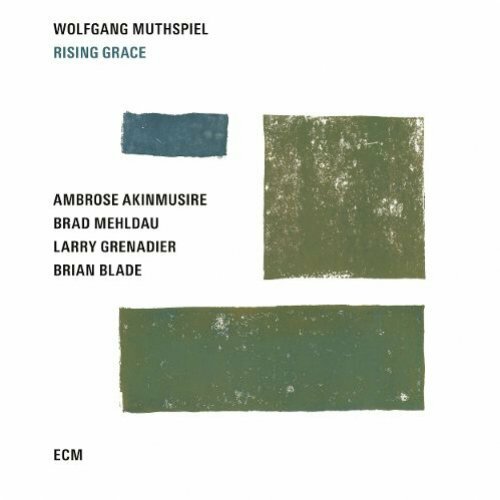 Wolfgang Muthspiel – guitar; Ambrose Akinmusire – trumpet; Brad Mehldau – piano; Larry Grenadier – double bass; Brian Blade – drums. Wolfgang Muthspiel made his ECM leader debut in 2014. The trio disc, Driftwood, featuring him alongside long-time colleagues, bassist Larry Grenadier and drummer Brian Blade. For his follow-up – Rising Grace – the Austrian guitarist convened a special quintet, adding Brad Mehldau on piano and trumpeter Ambrose Akinmusire to the Grenadier/Blade rhythm section. On Rising Grace, Muthspiel moves between electric guitar and classically-tinged acoustic six-string. There is a persistent, but laid-back, underlying groove throughout. Muthspiel, Mehldau and Akinmusire weave their magic through and between the gently propulsive bass and drums. That the tone is sweet, doesn't mean any lack of excitement, at time's Akinmusire's trumpet is just below the stratosphere. The overall sound is a delight to listen to and the joy of the musicians as they playfully parry with each other is palpable. Ten tracks, with nine composed by Muthspiel. Rising Grace, Intensive Care, Triad Song, Father and Sun (sic) precede Wolfgang’s Waltz – composed especially for the album by Mehldau. Superonny and Boogaloo follow, then Muthspiel’s tribute to a late, great ECM artist Den Wheeler, Den Kenny. Ending Music and Oak complete the package. Not ground-breaking, but certainly extremely good (as would be expected with the calibre of the musicians and production involved) and very pleasant to listen to. Rising Grace (ECM2515) is available now as CD or MP3 download.